On 13 December 2016, Minister for the Environment Céline Fremault and Minister for the Economy Didier Gosuin presented the winning SMEs of the be circular call for projects. 41 companies, start-ups and more established SMEs were chosen from industries as diverse as food, construction, logistics, recycling and design. Together they will share around €1.7 million to develop their circular economy projects. Be circular was launched jointly by the government agencies Brussels Economy and Employment, Brussels Environment and Impulse.brussels in order to guide and support company projects towards the business models of the circular economy. The aim was to support innovative economic projects in Brussels, or projects which would have a lever effect for the development of the circular economy. 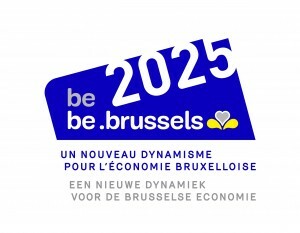 Specifically, it aimed to generate public support for the acceleration of the specific implementation of different models for the circular economy in the Brussels Region, such as the re-use of waste (re-use, repair, re-manufacturing and recycling), the new economic models of the circular economy (short circuits, the collaborative economy), eco-design and sound guidance measures in the transition to the circular economy. In the end, 41 projects will be supported by almost €1.7 million in subsidies. The subsidies will enable more than 30 people to be recruited, investments in machines, and feasibility studies. According to the details provided by the SMEs, the total budget for supported projects is close to €8 million. Co-financing was actually required for each project. The 41 selected projects will each receive support of up to €80,000. Social economy enterprises could receive a bonus of €10,000. Besides the financial aspect, the project leaders will receive support on demand from all business support services in the Region.